Below you can view all the homes for sale in the Millbrook Farm subdivision located in Marietta Georgia. 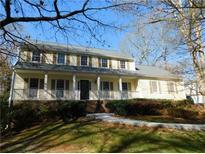 Listings in Millbrook Farm are updated daily from data we receive from the Atlanta multiple listing service. To learn more about any of these homes or to receive custom notifications when a new property is listed for sale in Millbrook Farm, give us a call at 404-998-4102. Recently Finished Basement Includes Kitchenette, Full Bath, Storage & Flex Room. Very Active Community! MLS#6535054. Dorsey Alston Realtors. 3 Year Old Roof And 2 Hvac'S. A Must See. MLS#6524083. Atlanta Neighborhood Realty, Inc..
Great Location-I-75, Sope Creek Park, The Battery, & The Upcoming Marketplace Terrell Mill. MLS#6511480. Dorsey Alston Realtors. Large Fenced-In And Professionally Landscaped Yard. 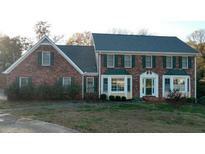 MLS#6508846. 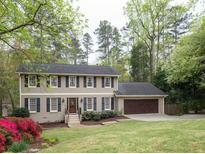 Georgia Elite Realty Atlanta, Llc.. Welcome To This Custom,Well Built Brick/Hardiplank Home.An Entertainers Delight With Expansive Hardwoods & Full Brick Fireplace In Living Room.Perfect For A Large Family, Woodworker, Artist, Gardener, Car Enthusiast, Rv Camper, Boater Or Place For The Inlaws.Never Lose Power With The Whole House Generator.Boasting An Active Swim Community, Magnet High School, Covered Back Patio, Irrigation,Large Fenced Backyard, Cozy Sunroom,Antibacterial Corian In Kitchen,Upper/Lower Masters, Hardwoods Thru-Out, Plenty Of Space/Storage.Separate 3 Car/Rv/Boat Garage (220 Hook Up)With Upstairs Loft. MLS#6126030. Atlanta Communities.